Over the last six years, Aboriginal Affairs and Northern Development (AANDC) has spent more than $35 million on legal fees. That’s according to information obtained from the department’s disclosure of contracts. The largest payouts for legal contracts were during the fiscal years 2009-10 ($19m) and 2011-12 ($15m). On average, $700,000 to $1.2 million were paid to individual lawyers and legal firms. According to the Treasury Board’s proactive disclosure guidelines, the government must disclose any contracts valued over $10,000. 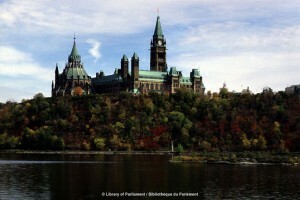 By 2012, Aboriginal Affairs’ total legal fees exceeded $110.1 million. Although it’s not clear whether this amount includes the $35 million from previous years, the skyrocketing figures have angered many First Nations. “What they’re doing is they’re increasing their budget in communication and legal fees and decreasing their budget in programs and services,” claims Cindy Blackstock, Executive Director of the First Nations Child & Family Caring Society of Canada (FNCFCS). Blackstock is well aware how far the department will go to employ its legal mechanisms. For the past 6 years she has been fighting in the courts with the department over funding for First Nations children. On behalf of the Assembly of First Nations and the FNCFCS, a complaint was filed regarding inequitable levels of child welfare funding provided to First Nations children and families on reserves as compared to children residing off reserve. The complaint takes aim at the department’s funding formula for child and family services. 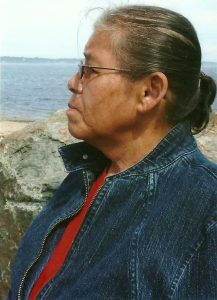 Maurina Beadle from Pictou Landing First Nation, Nova Scotia. On a recent, related front, the federal government is appealing Maurina Beadle’s case – a Pictou Landing First Nation mother that won a court ruling based on Jordan’s Principle, a child-first policy meant o ensure First Nation children receive the same services as children off-reserve. Beadle, who cares for a severely special-needs son, has also been recovering from a stroke. “I don’t understand why the government would be appealing a case that gives legal effect to what they unanimously agreed to in Parliament,” says Blackstock. Aboriginal Affairs has been waging legal battles in cases dealing with First Nations children but also First Nations policing, special education, and ongoing litigation with residential school survivors and land claims. NDP MP Aboriginal Affair’s critic, Jean Crowder says it doesn’t speak to the collaborative relationship the department chants. “It’s not surprising that every time there’s a court decision, they appeal it,” says Crowder. “They talk about a respectful partnership and collaboration but it actually has to translate into meaningful action,” says Crowder referring to the departments 2013-14 Report on Plans and Priorities. Based on the report, claims and litigation represents Aboriginal Affairs’ largest portion of liabilities (70.7 per cent) of their total net liabilities forecasted at $14,120 million. “When I look across the landscape of cases I don’t’ know of one where they are actually arguing for the rights of First Nation people, even though the department of Aboriginal Affairs is suppose to have a trust obligation,” says Blackstock. But ‘legal issues will continue’ given the Crown-Aboriginal relationship, according to the department. Recently it was reported the federal government’s overall legal spending was at an all-time high, peaking $500.8 million in 2011-12. “If the costs continue to accelerate in terms of the different litigation going on, my worry is it’s going to impact funding levels to communities,” says John Paul, executive director of Atlantic Policy Congress of First Nations Chiefs. APCFNC is just one of several Aboriginal organizations and tribal councils to face a funding reduction from Aboriginal Affairs. What is known is legal fees are on the rise while funding reductions are taking place across the country. Good research based work Martha…..submit to corporate media…NP, G & M, even the Freep, see if they’ll run it. Appeals should not be “afforded” to those who have lost cases especially when the case is time sensitive, or if it pertains to Aboriginal issues. Sweet industry to be in, that legal business, but no good for the people. I bet we won’t see any of those “Canada’s Economic Action Plan is Working” ads touting all the work the Harper government is creating for lawyers.